May you have a Merry and Blessed CHRISTmas and a happy and safe new year from our family to yours! Thank you to all my family, friends, followers, visitors, and commenters for making 2010 such a memorable year! I give Joy to the World when I appreciate all the blessings in my life, including my faith, family, and friends! Thanks Anna-Marie! I have enjoyed following your blog as I always learn something new from your posts about the UK. I'm looking forward to opening the crackers you sent with friends and family on Christmas Day. My children can't wait to find the treasures inside them :) Thanks for signing up via email. The graphic is not exactly right, but at least people can sign up with no problem. Have a blessed and Merry Christmas! So glad the Lifesaver ornaments were fun and successful! Send pictures via email if you can. I would love to see them :) Merry Christmas! Love the poster! And that hymn is one of my favorites, along with Lo, How A Rose E'er Blooming. Wishing you many Christmas blessings! 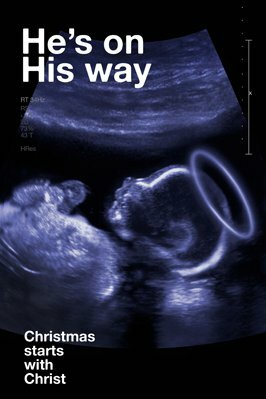 I love this poster too and when I saw it for the first time, I thought it was definitely something special I wanted to share :) Merry and blessed Christmas to you! Thanks for your visit and comment! I just hopped over to your blog. I love the name of it as well as your last name :) Your daughter is adorable :) Merry Christmas!